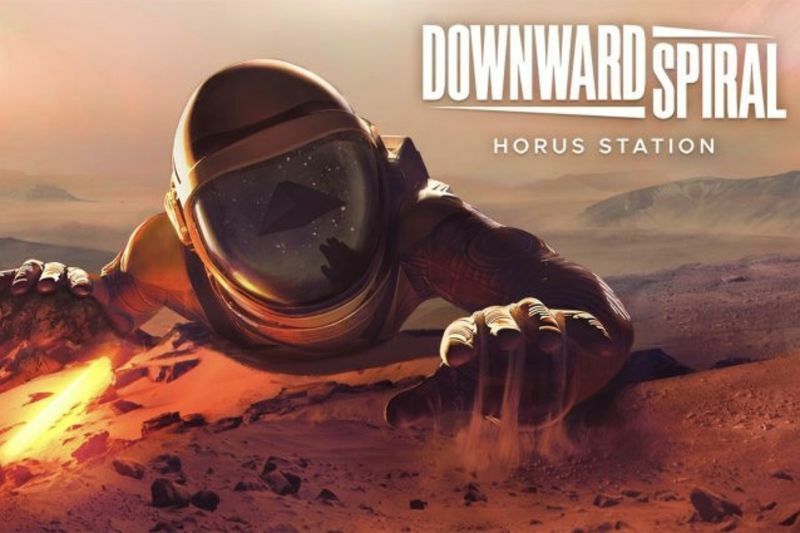 Downward Spiral: Horus Station is a new atmospheric sci-fi thriller game that seems to be inspired by Space Odyssey, Twin Peaks and Black Mirror. Developed by 3rd Eye Studios, Downward Spiral, is set to be focused on delivering a visual story through environmental cues, rather than traditional voice-over or cinematics. Players will explore and navigate the Horus Station in zero gravity by using their environment to push and grapple to solve the station's mysteries. Tools will be available to help complete puzzles and take on enemies. The game will feature a co-op mode, that will allow two players to explore the station and for those looking for less violent experience, an explorer mode is added which removes combat entirely, which allows players to focus on exploring and experiencing the environment. Ville Valo, the frontman of the Finnish gothic rock band HIM, is responsible for the atmospheric score with a dark electronic sound that compliments the environment and key moments throughout the game's experience. The exact release date and pricing will be announced in the weeks to come. Along with Apex Construct, Downward Spiral looks like the kind of full VR game fans have been clamouring for these past few years. Let's hope it lives up to all the expectation. Video: The End Is Nigh Is Coming To Nintendo On December 12! Video: Cool Story Bro, But Does It Have Dungeons & Dragons? The Dangers Of Downloading Pirated Games! Video: Soundgym Challenges Your Hearing With A New Game!